What’s in a view? For some, it’s the action: a bustling cityscape, jam-packed with people, taxis, and totem-like skyscrapers. For others, it’s pure seclusion: a mars-like landscape of desert rocks, with nary a human in sight. Whatever your motive, staggering views are just one of many reasons we travel—and luckily, on this planet, there’s a view for everyone’s inevitable Instagram post. 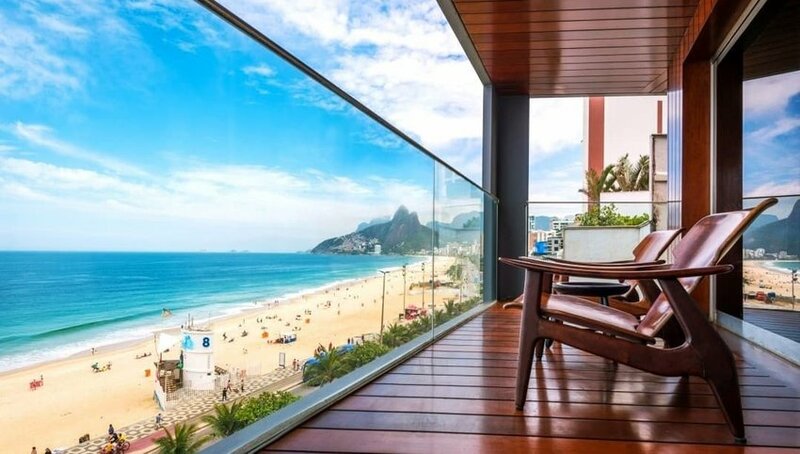 Whether you like sun and surf or a scene that inspires romance, we’ve rounded up five of our favorite hotel vistas from around the globe. The best for … beach views. The best for … night skies. At Amangiri in rural Utah, the best view is frequently overhead. The 600-acre compound is set outside of Canyon Point, Utah, and with no large cities nearby to speak of, the night sky lights up with stars and constellations rarely seen outside of the world’s most secluded locales. The resort’s minimal concrete construction means that it blends in seamlessly with the surrounding red-rock landscape, too. Combined with flawless service and a uniquely sybaritic locale, Amangiri is a “bucket list” stop for any traveler. The best for … romance. Just being in Paris sparks a sense of romance not found anywhere else in the world. But what about looking at one of the world’s most symbolic landmarks, seeming a stone’s throw from your hotel room? 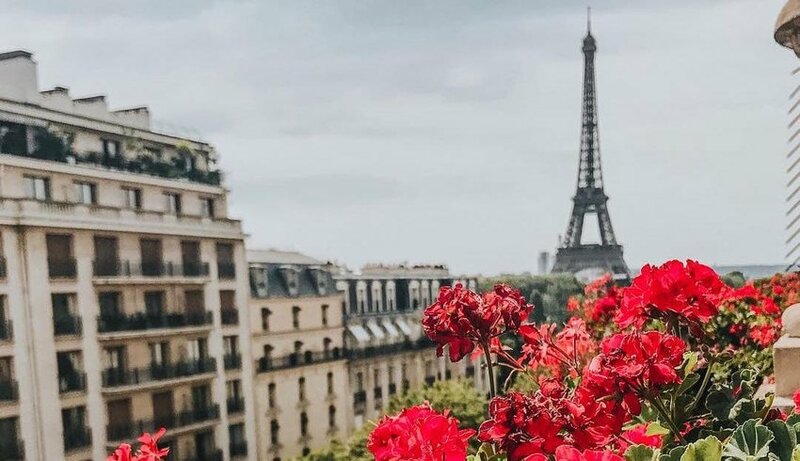 Hotel Plaza Athénée, a famed 8th Arrondissement destination for the city’s fashion set, has two Eiffel Suites with, you guessed it, unobstructed views of the iconic iron tower. Each suite is vastly different: one is decorated in elegant hues of purple and grey with classic furnishings (think your very own Parisian apartment) while the other channels chic Art Deco vibes, complete with an antique telescope for spying on all of the action. The best for … city lights. 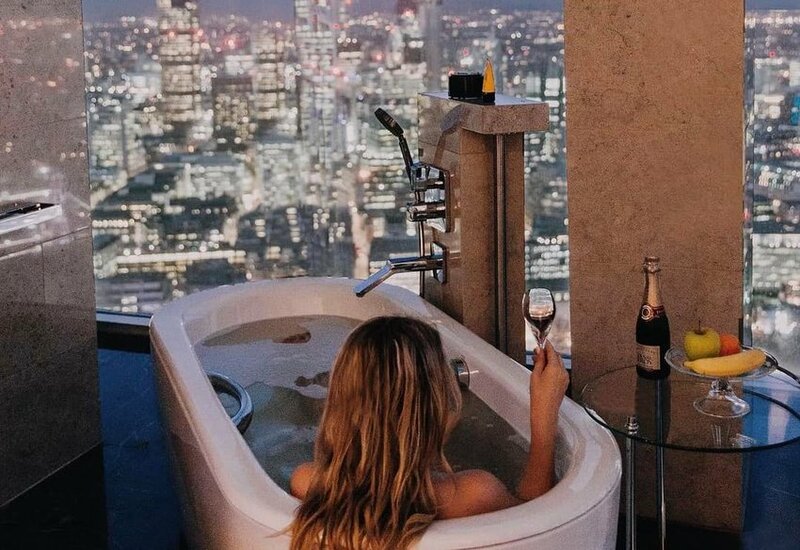 London’s Shangri-La at the Shard was practically made for Instagram. This five-star castle in the sky occupies nearly 20 floors of the Big Smoke’s tallest building, housing 202 rooms. All rooms have floor-to-ceiling glass and most come with breathtaking views, including binoculars. The real must-see here though is the infinity pool, housed on the 52nd floor. From here, you can see landmarks like St. Paul’s, Big Ben, and the London Eye, champagne in hand. Gong, the buzzy, chic bar on the same floor, has equally impressive views. The best for … total seclusion. Sometimes a view is more about what you don’t see than what you do. 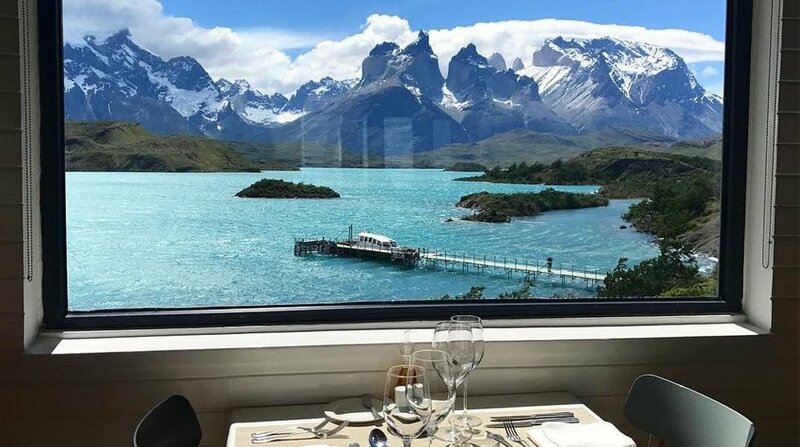 If fully immersing yourself in the landscape is more your speed, Patagonia’s Explora, situated in Torres del Paine National Park, offers sweeping views of Chile’s unique Paine Massif and two of the park’s three “torres,” or towers, for which it is named. Getting out into the landscape is easy here, as activities include treks and horseback rides that traverse the region’s jaw-dropping mountains, glaciers, prairies, and rivers. The best for … sightseeing from your bed. 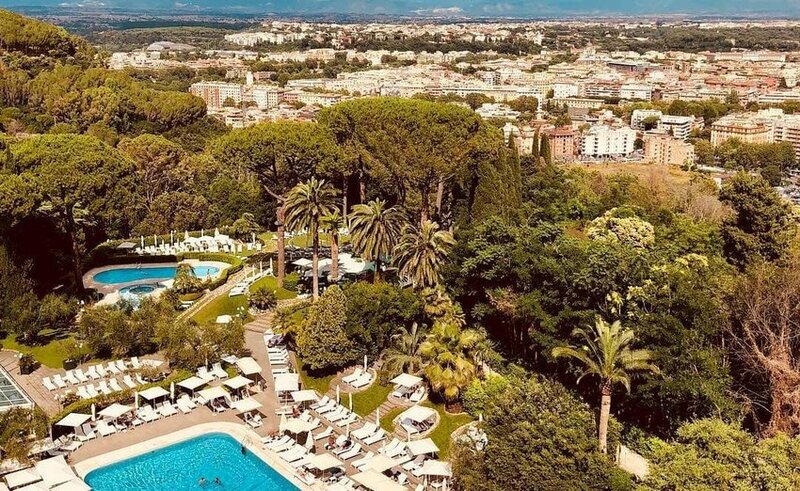 Perched high above the city, the Rome Cavalieri Waldorf Astoria seems more like a secluded country estate than a luxury hotel in the heart of the Eternal City. Guests who stay in the hotel’s top-tier suites, the Penthouse and Planetarium Suites, can go on a veritable tour of the city from their rooms: views open up onto Vatican City and St. Peter’s Basilica, as well as other Rome landmarks like the Pantheon and Villa Borghese.